October 21st is “Dummy Day,” 9:00 am to 4:00pm at the Skirball Cultural Center. In this intimate hands-on workshop you can expand your skill set or learn from scratch the ins and outs of making a picture book dummy. The morning session will be focused on creating thumbnails for pacing, layout, emotional impact, and page design. The afternoon session is devoted to physical dummy construction techniques and submission formats. It will include personal feedback on one of your dummies-in-progress, whether you brought it with you or began it in the workshop. Lunch is not included in the cost of the ticket. Feel free to bring your own lunch or purchase lunch at the Skirball’s own Zeidler’s Café. Dummy Day has sold out! You can sign up for the waitlist below and we will contact you if a space becomes available. Kathryn Hewitt has illustrated 25 books, five of which she has also written. Her Sunflower House was an ABA Pick of the List, Oppenheim toy Portfolio Gold Award winner, and a Young Hoosier Book Award Nominee. 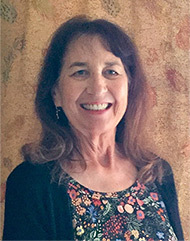 She has created picture books with Eve Bunting and illustrations for the multi-award winning Lives of… series of biographies with Kathleen Krull. She is currently working on a picture book about above-average chickens. 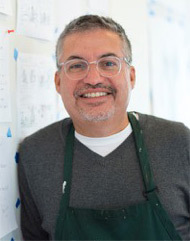 Joe Cepeda received his BFA in Illustration from California State University, Long Beach in 1992 and also studied Engineering at Cornell University. He is the illustrator of award-winning picture books such as What a Truly Cool World (Scholastic), Nappy Hair (Knopf), Mice and Beans (Scholastic) including The Swing (Arthur A. Levine Books), which he wrote as well as illustrated. Mr. Cepeda has illustrated books written by numerous notable authors including Gary Soto, Pam Muñoz Ryan, Arnold Adoff, Monica Brown, Julius Lester and Toni Morrison. He has also illustrated book jackets for several titles, including Esperanza Rising and The Brilliant Fall of Gianna Z. He was selected to illustrate the cover of Shaquille O’Neal and Reading is Fundamental’s Biggest Book in the World. Mr. Cepeda received an ALA 2002 Pura Belpre’ Honor Award and the Recognition of Merit Award for 2000 from the George G. Stone Center for Children’s Books. His work has been accepted to the Society of Illustrators shows in New York and Los Angeles. Joe was awarded a Capstone Fellowship for 2016. In addition to his illustrative work, Mr. Cepeda is sought after as a public speaker to schools and conferences. He is past president of the Society of Illustrators of Los Angeles. He lives in Southern California. 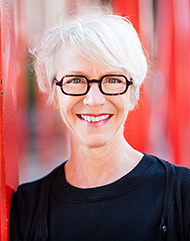 Mary Peterson is the illustrator of numerous children’s books including Wiggle and Waggle (Charlesbridge), a Banks Street Best Book of the Year, Wooby and Peep (Sterling) and Dig In! (Beach Lane Books). She is co-author of Piggies In The Pumpkin Patch (Charlesbridge) which was included in The Society Of Illustrators Original Art Show. Coming in Spring 2018, as illustrator, Twinkle Twinkle Little Star (Beach Lane Books/Simon and Schuster). A $20 administration fee will be applied to all cancellations. No refunds after September 14, 2017.